If you are reading my profile, then it is very likely that there is something that you are not happy or comfortable with and want to change. So why not talk to me about making those changes? I offer a free 30 min initial consultation to give you a chance to find more about me and for me to learn what it is you want to achieve. I take pride and satisfaction in helping people quickly find the change they desire in themselves through their work with me. I work with children aged 7 and over and adults of all ages. This is not an exclusive list. Please visit my website for more information, or contact me to discuss your particular area of interest and book your free initial 30 minute consultation. Initial consultation - 30 minutes, free of charge. 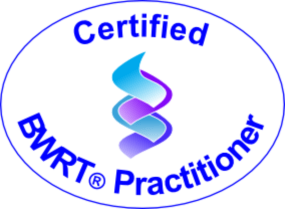 Standard hypnotherapy and life coaching session are charged at £65 per session (55 mins) during normal working hours, and £75 for evening or Saturday morning appointments. Smoking cessation costs £160 for a single 90 minute session which is completed during normal office hours. (£175 for evening or Saturday mornings). 8 week Be Free with Mindfulness courses are £250 which include a 15 min telephone consultation, cd or mp3 download of meditations, workbook and journal. Each session runs for two hours. These courses are designed to be run with small groups and are highly participatory. The next course will start in September 2017 and has already attracted bookings.